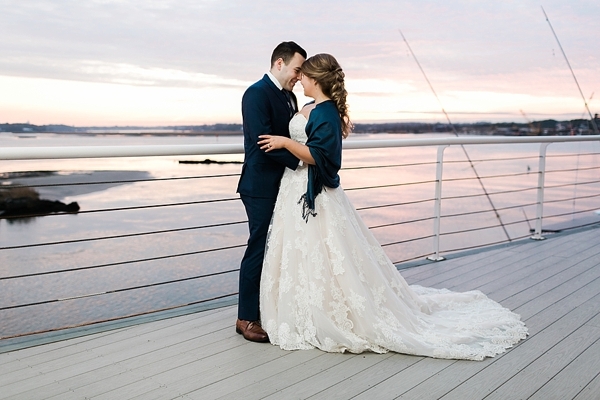 There likely isn't one local who doesn't love watching the beach sky turn into dusk and the stars twinkle into their nightly display. 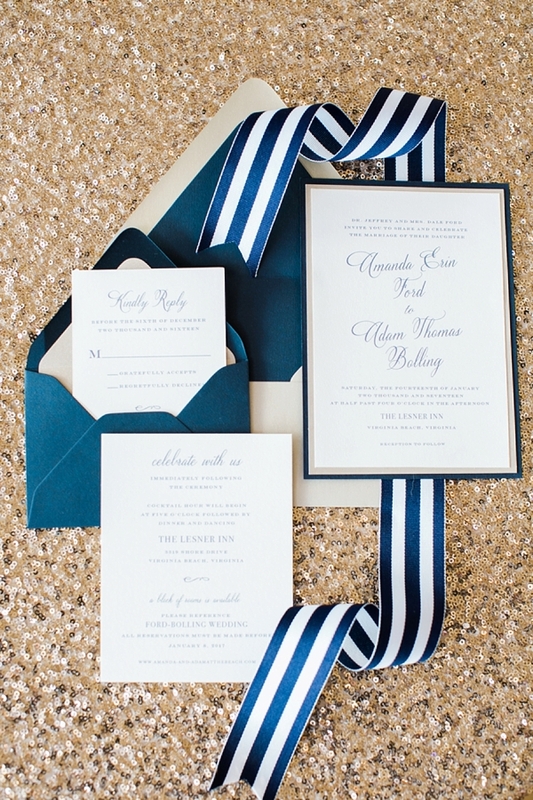 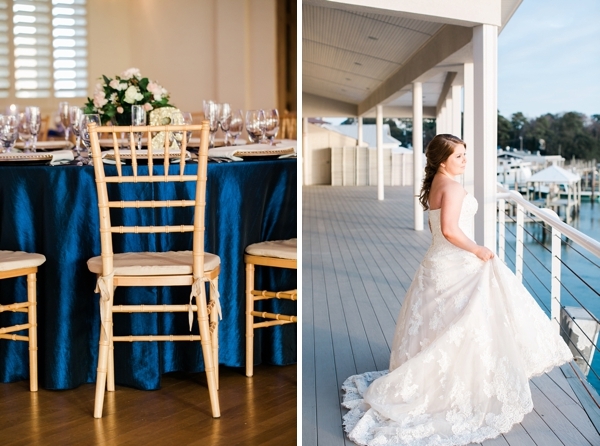 Inspired by gilded sunsets and deep rich blues of the Lynnhaven River, everything in this coastal wedding inspiration shoot shimmered with total swoonery! 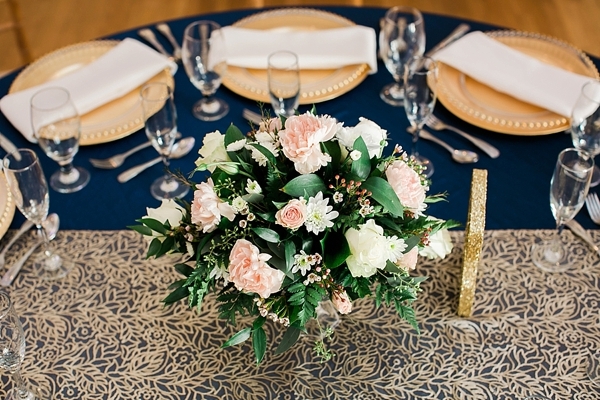 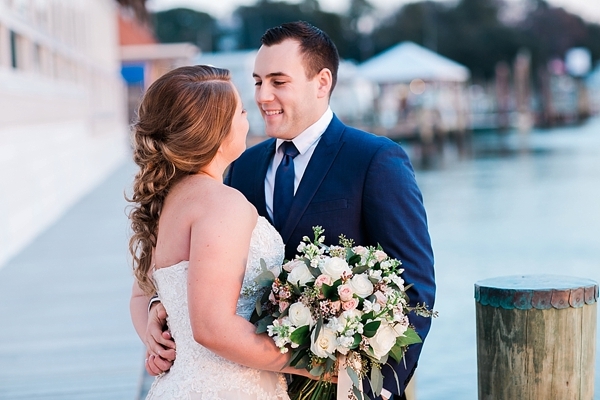 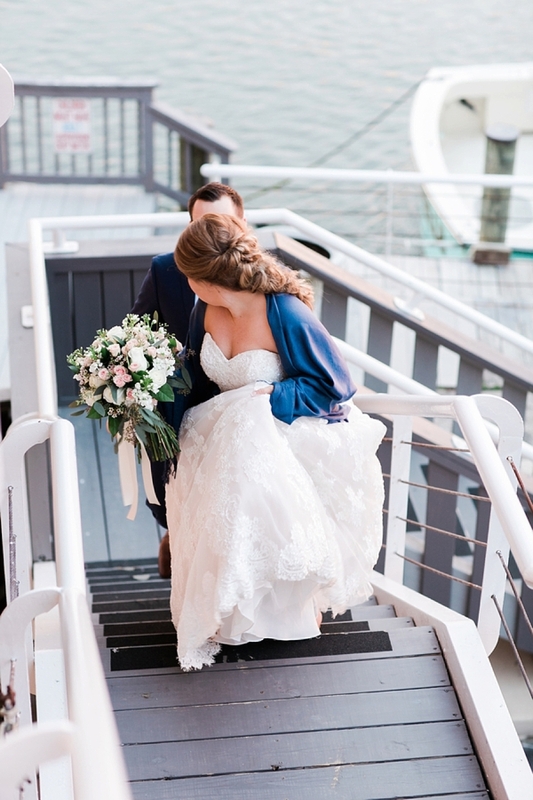 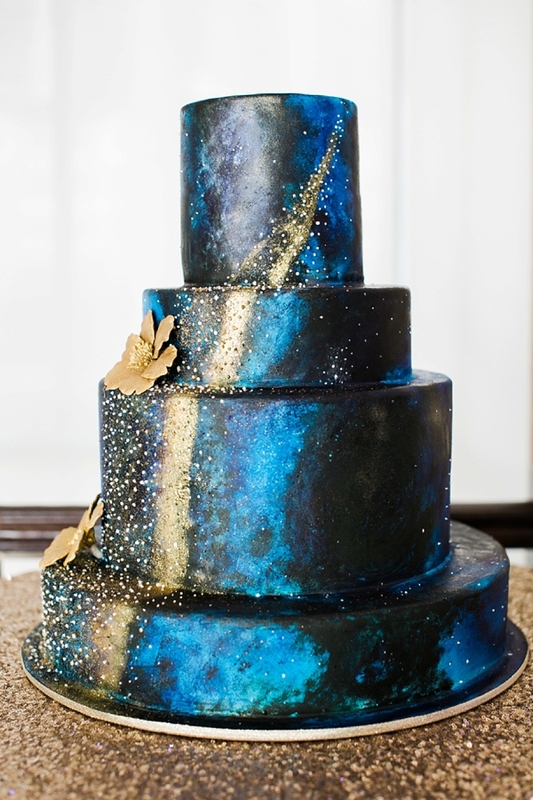 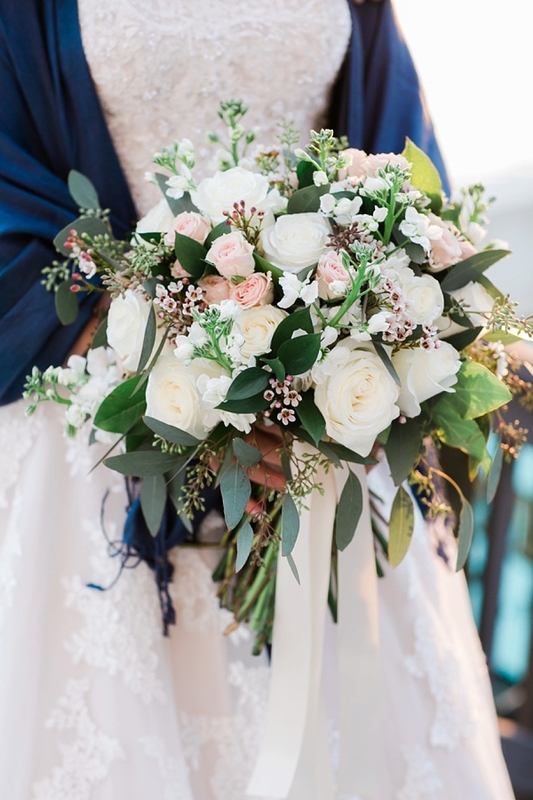 With a breathtaking celestial cake painted with the heavens, a full bouquet of white and light pink roses, and a delicate lace blush wedding gown, the navy blue and gold color palette complemented everything for a cool, elegant atmosphere near the water at the Lesner Inn. 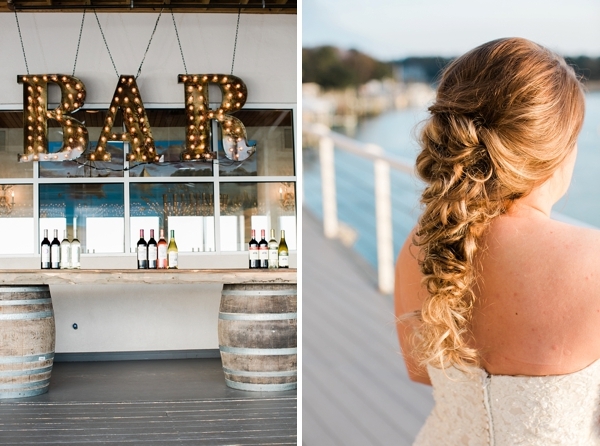 Photographed by Elizabeth Friske Photography, a dedicated bar area with large marquee letter lights warmed up the deck while tables topped with dark blue linens and sequined runners glittered indoors. 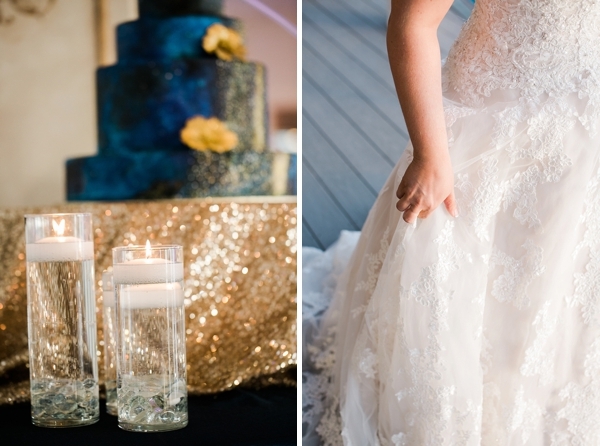 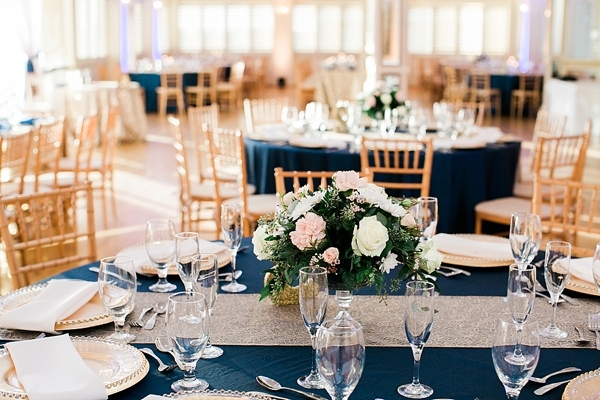 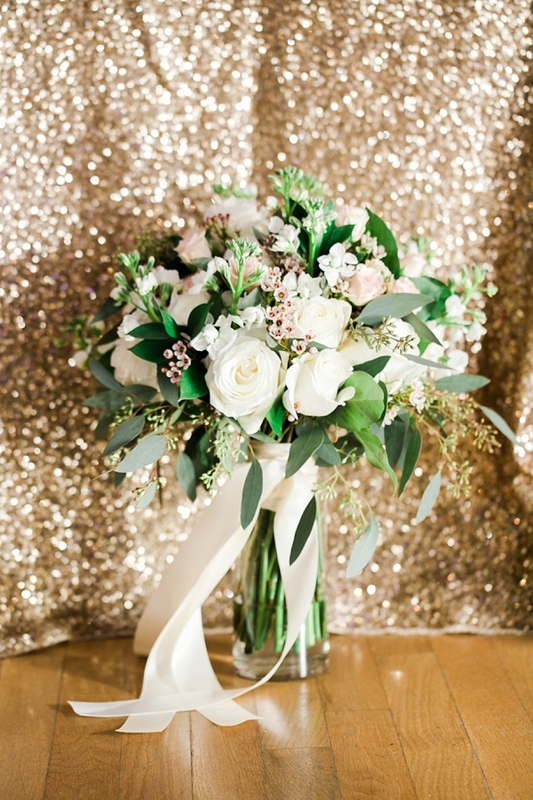 For couples dreaming of an evening celebration under the stars, you will fall in love with this creative team's vision of contrasting colors, sparkling textures, and ultimate coastal romance.